Is the e-book market in turnaround? How can we tell? There sure are a lot of people making a lot of different observations and predictions about the state of the e-book market lately. Are e-books in a decline as everyone catches “digital fatigue,” or just leveling off as everyone who could be interested in them has been reached? Are print books making a dramatic turnaround, or is the fad for adult coloring books masking the true extent of the slippage? It’s as if everyone’s reading their own different brand of tea leaves, and getting different results based on whether they prefer Oolong or Earl Grey. When you think about it, it’s not exactly a surprise. The biggest problem with studies and surveys and polls that attempt to show which way the market is going is that the market is so damned opaque. The company who makes up the biggest part of it—Amazon—doesn’t share any of its own sales data, and attempts to datamine it like Author Earnings can go only so far. 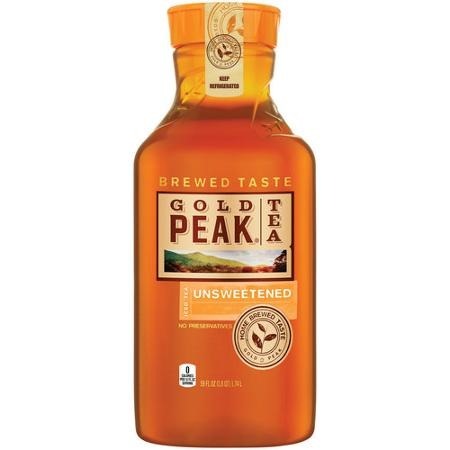 Everyone is reading their own different flavor of tea leaves, while the market itself is largely made up of Gold Peak pre-mixed iced tea—no leaves to be had anywhere, so you just have to taste it and make a guess. As in the old poem about the blind men and the elephant, all the analysts are looking at different parts of the whole and coming up with entirely different results. The AAP says one thing, Author Earnings says another, and the Codex Group says something else altogether. Just like the blind men in that poem, they’re all right as far as they go, but none of them has the benefit of the big picture so they can seem to be saying entirely different things. What does the market look like? Imagine you’d never seen an elephant in your life and had to come up with a description of one entirely on the basis of the information given in that poem. Even if you knew what body parts the blind men were touching, which the men in question didn’t—side, tusk, trunk, knee, ear, tail—how could you put the descriptions of them together into a picture of a real animal? The poem relies on its reader already knowing what an elephant looks like so you can chuckle at the poor confused blind men. But nobody has any real idea what the shape of the e-book market is, except perhaps for Amazon. And Amazon certainly doesn’t have any need to share its secrets with anyone else. In the past, when nobody had that large a share of the market, everyone was trying to figure out how to survive together so they had incentive to share a lot of the sort of data Amazon doesn’t anymore. They could be more open because they were all competing for tiny slices of a very large pie and the success of some other competitor wouldn’t necessarily directly harm them. And because they were all tiny slices of the whole, analysts could still get a pretty good picture of the rest of the market if a few of them decided to keep everything to themselves. But from Amazon’s perspective now, it’s probably justified in keeping its secrets because it would harm its own business to divulge them. It doesn’t have any incentive to open up because any business increases competitors could achieve would probably come out of its own share in the market. And since everyone else makes up a much smaller slice of a small share of a much larger pie, the data that they can gather and share has less value and there’s much less clarity than in the old days. But there’s not exactly a solution to this quandary that I can see, short of legislation requiring Amazon to cough up some statistics. (As if that would go over well—not only Amazon but any business doing well in its own field would have ample reason to lobby against it.) The rest of the industry is just going to have to figure out how to get by in a market in which the biggest single chunk is terra incognita. And in the end, that’s probably going to amount to finishing their tea and looking in the cup, then reaching around to feel as much of the elephant as they can. The rest of us just need to remember that there are still a lot more tea and elephants that they aren’t seeing. But there’s not exactly a solution to this quandary that I can see, short of legislation requiring Amazon to cough up some statistics. As Jeff Bezos owns the Washington Post, he has a very loud lobbying platform against such legislation. Common sense is nonetheless not (yet) dead and such tells us that A) books aren’t going away and B) the future is not in print and C) the Big 5 have some pretty hefty reasons for obfuscating B). Fact is, the Big 5 *should* have led the digital revolution back when it was just a gleam in Bezos’ eye. Had *they* jumped into the e-ink (and tablet) market as well as on-line sales, they could’ve crushed Amazon but now they are forced to whistle past their own graveyard; muttering to themselves, their author stable and anyone else gullible enough to listen that the next 100 years will look exactly like the last 100. It won’t. It won’t be long before established authors will realize that they can make more money partnering with Amazon than they can with Big Publishing. When that happens, the days of the fat cats chomping on their stogies while taking 2 hour lunches before playing rejection letter roulette will finally be (thankfully) over. Pingback: The versus debate: Why is it still going on?